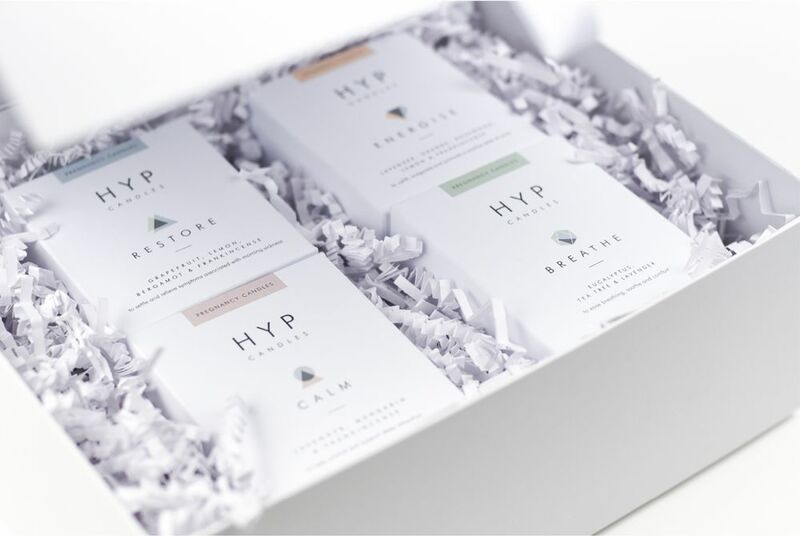 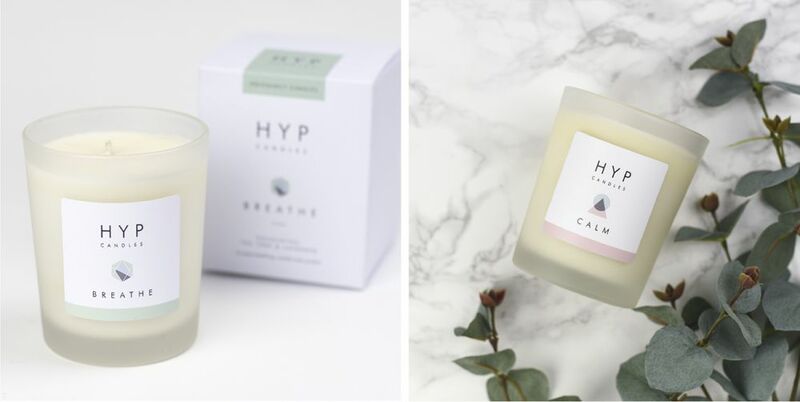 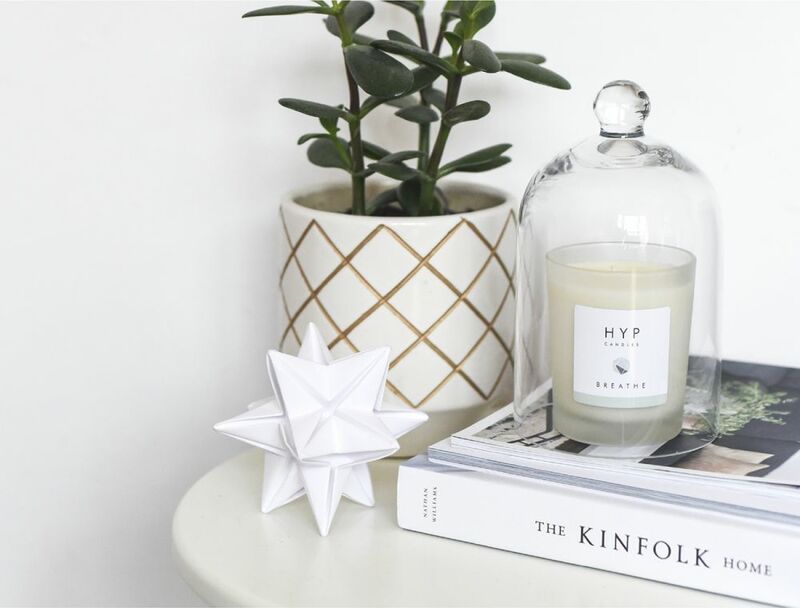 ABOUT: Cheshire-based hypnobirthing teacher Rebecca Gillies founded her company Hyp Candles after the birth of her daughter. 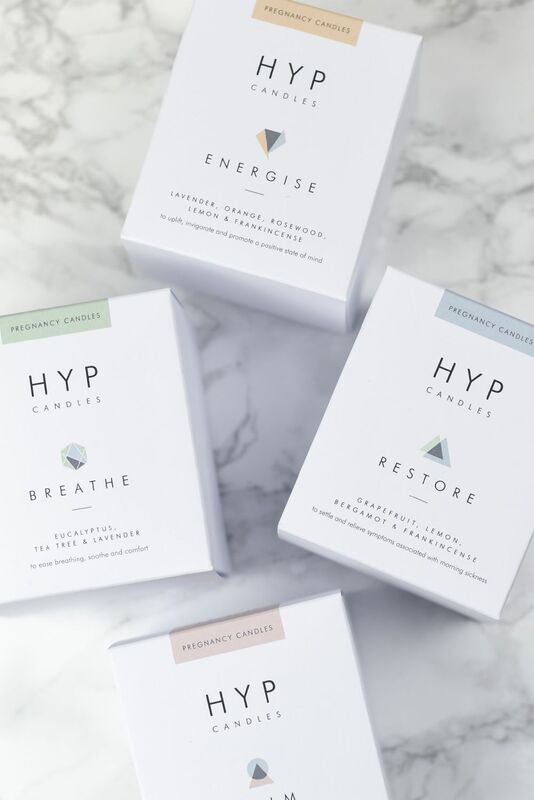 Becks says “ when I became pregnant, I searched hard for products that I felt confident were completely natural and safe for use during pregnancy”. 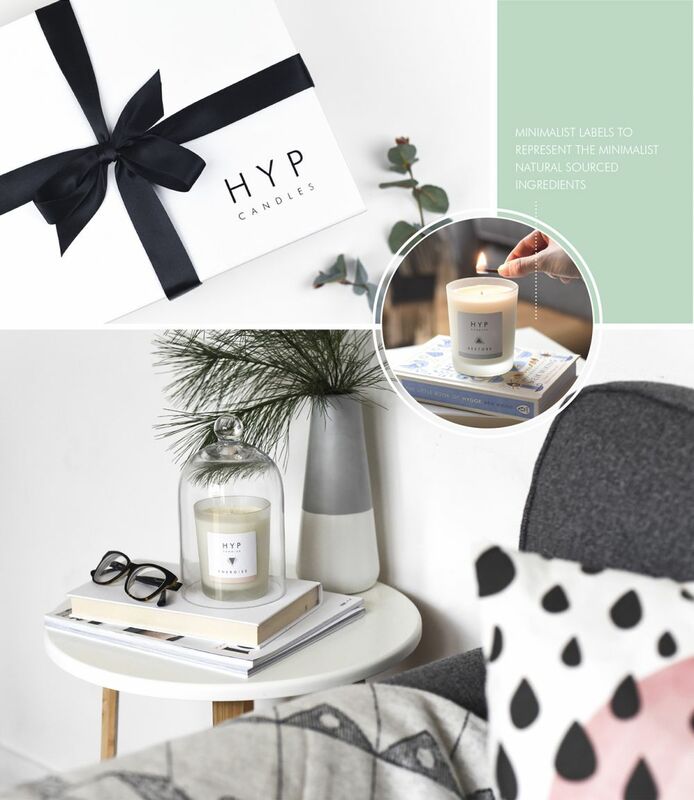 Following her struggle to find products that met her needs, Becks decided to create her own candles and asked Paperknots to help create the brand and packaging. 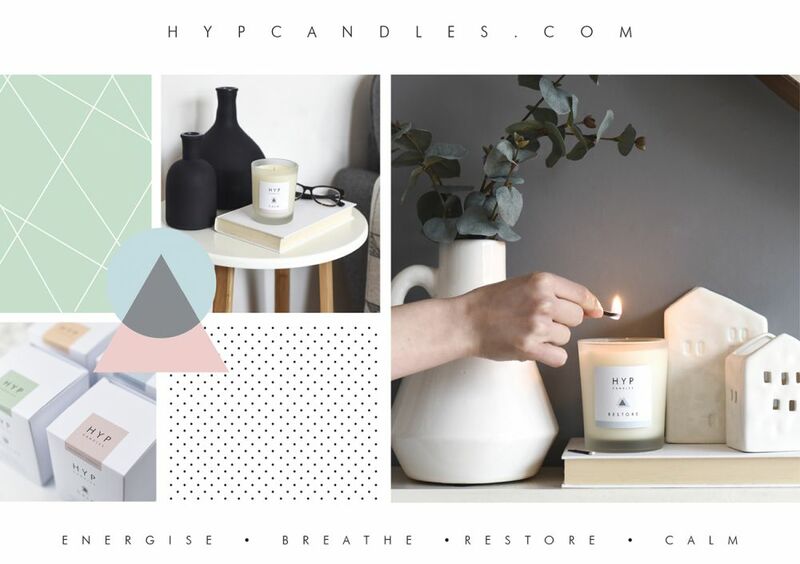 The candles contain all-natural ingredients with only organic essential oils and natural wax, so when it came to designing the brand and packaging, we chose to emphasise this “essentials-only” ethos with a clean, fresh and minimalist look that would appeal to the style-savvy mama. 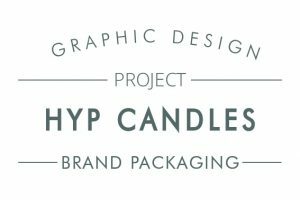 The logo itself was pared right back, using just a singular sans serif typeface in two weights with a wide kerning for breathing space between the letters. 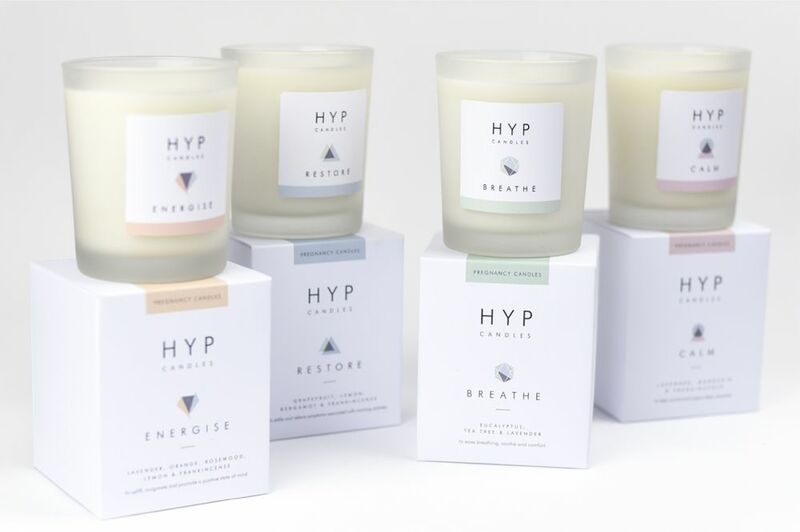 The packaging consisted of a core range of 4 different fragrances, with a different geometric shape designed to represent each product. 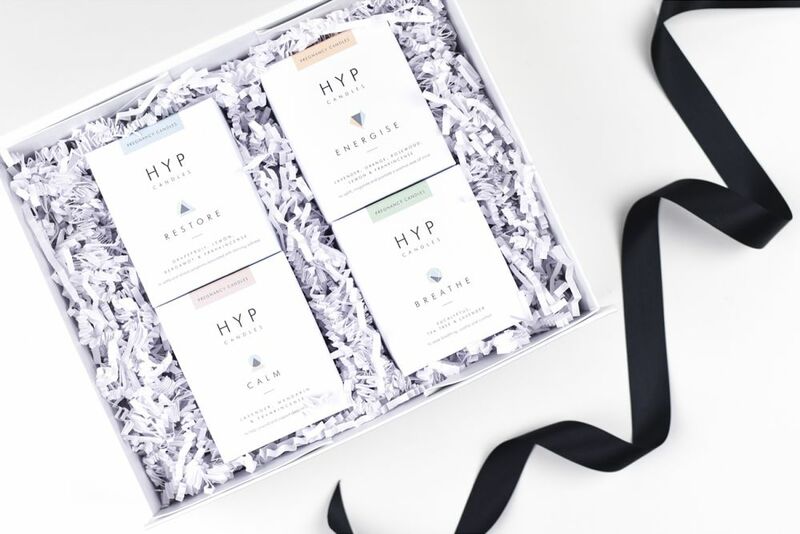 An assortment of pastel shades were then added to the design to add a pop of colour to the crisp white background and striking black type. 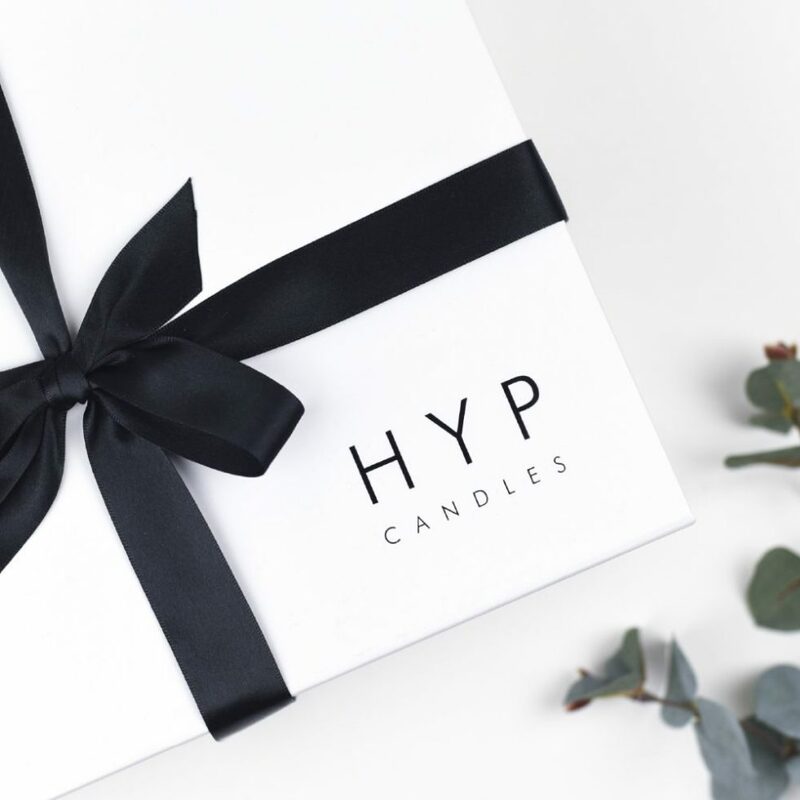 A simplified version of the box was devised for the labels to go on the candle votives, creating a product that the modern-day mama would be proud to show off in their home or gift to friends and family.